An exciting new middle reader series from a debut author. All twelve-year-old Jaden wants to do is be the best at Cross Ups, the video game he and his friends can't stop playing. He knows he could be--if only he didn't have to hide his gaming from his mom, who's convinced it will make him violent. After an epic match leads to an invitation to play in a top tournament, Jaden and his friends Devesh and Hugh hatch a plan to get him there. But Jaden's strict parents and annoying siblings, not to mention a couple of bullies and his confusing feelings for his next-door neighbor Cali, keep getting in the way Tournament Trouble marks the first book in a planned series by Sylv Chiang, a captivating new voice in middle reader fiction. With sharp dialogue and relatable characters, it chronicles the ups and downs of middle school with a relevant, contemporary twist. 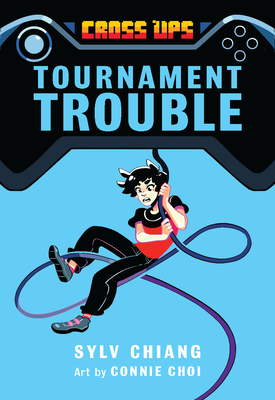 Accompanied by Connie Choi's lively illustrations, Tournament Trouble invites readers into Jaden's world, and will leave them eagerly awaiting his next adventure. Look for Book 2, coming in Fall 2018.